Home» Road Tests » Peugeot 3008 Contract Hire & Leasing Review. So what’s a ‘crossover’ vehicle? Well it’s basically a marketing term created by the motor industry to describe a new style of vehicle that sits somewhere between your normal family hatchback and a sports utility vehicle (SUV), hence the term crossover. The benefits are that whilst they might look like an SUV, they sit on a car platform, drive like a car, offer stacks of interior space and versatility, yet deliver MPG you would get from a normal hatchback and that’s seems like a pretty compulsive package. Many car manufacturers are now offering a crossover and most of them are front wheel drive (just like your family hatch) although some car makers are also offering 4wd versions. Just like an SUV, you sit up high in a commanding position, which gives a great view of what’s ahead and around you and you feel that you are driving something pretty substantial and feel oddly safe and that’s quite nice. The crossover is becoming an important vehicle for the motor industry simply because they make such good sense and literally offer the best of both worlds and it would be hard on paper not to justify having one as opposed to a hatchback, or full on SUV. We tested Nissans Qashqai when it was one of the first into the market place and liked it a lot, however looking back, we aren’t certain if we liked it because of what it was, rather than what it is and by that I mean did the car impress us or did the concept of a crossover? We figured we should take another look at a crossover, so picked the Peugeot 3008 which won the prestigious What Car (overall) “Car of the Year” award in 2010 and in the same year, got a second What Car award as it was voted the “Crossover of the Year” for 2010. Not content with that and despite many new crossovers coming onto the market since 2010, the Peugeot 3008 was back again taking the What Car “Crossover of the Year” for 2011, an incredible achievement. It isn’t just in the UK that people have been saying nice things about the Peugeot 3008 either as it took the award for “Continental Irish Car of the Year” in 2010 and won Australia’s prestigious “Design Award” who described the 3008 as “a beautiful car packed with features”. So, we have established this thing is pretty good, but we needed to know how good or if these people giving the awards away were just impressed by the concept of the crossover, and did the 3008 actually stack up as an alternative to your everyday hatchback? Well for starters, the Peugeot 3008 is a strange looking thing with a big toothy grin and its not instantly going to appeal to everyone. That said, the longer we used it, the more we got to like the way it looked and enjoyed the fact it was a touch quirky and frankly, its just as well it does have that striking front end, because side on, whilst its pretty enough, it could be one of a dozen cars and I guess that’s what happens when everything is designed in a wind tunnel. Build wise, our test car seemed well put together, panel gaps were accurate and the paint and finish looked to be of a high quality and importantly, everything worked. Jumping into the 3008 is instantly gratifying with its high up sports car style centre console and it’s easy to reach chunky little gearstick and super comfortable seats, we felt at home almost immediately. Instrumentation is clear and precise and carries a vivid white light at night, although they do persist with the horrid orange display on the radio. The steering wheel and seat can be adjusted to pretty much suit anyone and all of the controls are easy to reach and intuitive to use. We all know car interiors have plenty of plastic around, but the 3008 has good quality plastic, soft feel plastic which looks classy, but then I don’t know why I am so surprised by that, because Peugeot have always made nice interiors and the 3008 feels sophisticated and absolutely appropriate for the kind of car it is. The 3008 is a fairly big car, but only comes with 5 seats and that means there is bags of space and with its flat floor and masses of headroom, 3 adults can sit comfortably in the back for any length journey, and as a bonus, there are a couple of under floor storage areas. Upfront, the driver and passenger are cocooned by the console and you feel as if you are sitting in the car, rather than sitting on it and that’s nice. The 3008 boot is massive and that’s without folding the seats down, which incidentally can be done using little leavers just inside the tailgate (not rummaging around on the individual seats) and there is the facility to move the boot floor up and down to give you different level load heights and with everything in its right place and the seats down, the car offers up to 1604 litres of luggage space and we think that’s pretty much the biggest in its class. The Tailgate is another nice thing as it splits in the middle so that you can lift up just the top part with the glass in and put things into the boot that way, or you can drop the lower part (in Range Rover fashion) and get big stuff in, or use it as a seat or a table to lay your picnic out on! Whilst talking storage, the 3008 has what must be one of the biggest centre consoles in the business, its massive, however why does the lid open sideways, against the driver? We drive on the left over here Mr. Peugeot, how much effort would it have taken for the lid to open the other way so that the driver could actually get stuff out? Another result of the wrong-way opening lid is that the auxiliary plug for you’re iphone and stuff like that is on the inside of the lid and trying to find and use it, is just like a really fat person trying to see their knees, it’s very difficult. Whilst in a grump, we thought we would have a moan about the glove box as well. Not because of its accessibility, but for its size, it’s tiny. OK, to be fair there is more than enough storage in the front including huge storage pockets, but how much nicer would it have been if someone remembered we sit on the other side of the car in the U.K.
Safety however hasn’t been ignored on the 3008 as can be witnessed by its 5 Star Euro-NCAP rating. The 3008 is fitted with 6 SMART airbags that inflate in relation to the force of the impact; giving you exactly the right level of protection. The two outer passenger seats and the passenger’s side front seat all have 3 point Isofix fittings. Other features such as ABS with EBFD and emergency brake assist, electronic stability program and traction control are standard across the range and to help keep your 3008 where you left it, deadlocks are fitted and with a rolling code immobiliser. Behind the wheel, there isn’t anything trick in terms of starting the 3008, it has a key and not a button, although it does have an electronic handbrake, which you either love or hate. For us, well we started off hating them, but are slowly coming round to the idea as in all honesty, they are dead easy to use and on the 3008, as you turn the engine off, the handbrake comes on. Start the 3008 and you can leave the handbrake on and when you begin to pull away, it disengages, so effectively, you don’t have to touch it unless your on an incline and don’t fancy rolling backwards. On the road, the 3008 driven normally is unerringly quiet, more like you would expect on a luxury or executive class car, however drive it hard through the gears and it looses that quality. Steering whilst manoeuvring was a touch on the heavy side, however that changes to extremely light once the car is moving and in fact too light for us, although for sure, its something you would get used to if you drove the 3008 all the time. Engine and gearbox were faultless and whilst our car was only the 1.6HDi 112bhp version, it had stacks of performance when you were alone in the car and its 192lb ft of torque ensured it had more than enough grunt even when the full compliments of 5 seats were full of adults, however, it isn’t a rocket machine. Fuel consumption is reported as 55.3mpg combined and we achieved that and more, with one trip taking it very easy with a feather light throttle, we achieved almost 60mpg, which for a car of this size is mega impressive, but even if you achieve Peugeots claimed combined figure, it means the 3008’s 60 litre tank can get you over 700 miles! Engine line up is a choice of 1.6 112bhp diesel, a 150bhp 2.0 diesel and if you choose the automatic diesel you get 163bhp. Petrol units are a 1.6 120bhp and a 1.6THP with 156bhp. Co2’s range from 122g/km with the e-HDI FAP EGC diesel up to 169g/km for the 163bhp Automatic, whilst the 1.6HDi we tested returned figures of 135g/km. For the eco minded amongst you, Peugeot will shortly (November 2011?) be launching the 3008 in ‘hybrid’ form and it will be the world’s first full diesel hybrid to be launched. Powered by a 2.0 Hdi diesel, producing 163bhp and an electric motor producing 37bhp, this 200bhp hybrid it’s claimed will have an average fuel consumption of 74.4mpg and a 99g/km Co2 and that’s pretty impressive. Price wise, whilst we are not sure exactly, it appears its going to be between £26,600 and £29,995 and our understanding is that it will be a limited production vehicle, so if you want one, you need to be talking to your local dealer now. How much will at Peugeot 3008 cost you? Well the cheapest Peugeot 3008 is the 1.6 120bhp petrol in Active specification with an on the road price of £17,195, rising to £23,995 for the range topping Exclusive 163bhp Diesel Automatic at £23,995. There are plenty of nice options available across the range to help you personalise your 3008 including the Peugeot Connect Satellite Navigation system which will cost you another £735. Well, were we impressed by the concept or the car itself and the answer to that has to be both. This is the second new Peugeot we have tested in the last month or so and neither has disappointed. On the road they behave impeccably, they are comfortable, quiet and well designed and in the case of the 3008, it’s a car you could happily live with on a long term basis and its not often we say that. So in conclusion, we are still as convinced that crossover vehicles are a really sensible choice as they offer so much more than either the typical hatch, or the big SUV. The ‘crossover’ isn’t a compromised hatch or SUV, its something completely different, stealing the best features from each one and arriving at a vehicle that can truly multi-task and that will for most people tick so many boxes for so many reasons and we are sold on the idea. If like us, you see the benefit of a crossover, the Peugeot 3008 is the best that’s out there and just spending a little time with it you can understand why so many motoring journalists have written good things about it and why Car Magazine have given it two such prestigious awards in consecutive years. So when you are due to change, perhaps you should take a trip to your local Peugeot dealer and check out the Peugeot 3008. 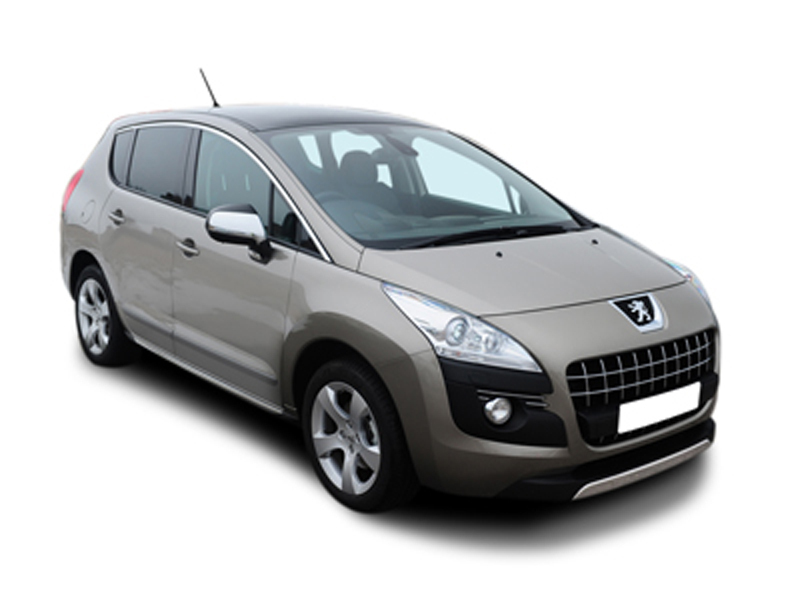 For a quotation on the Peugeot 3008, or on any other Peugeot, please contact us.